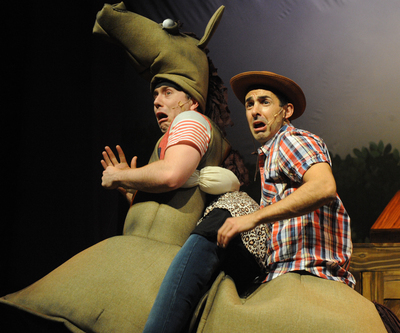 Andy and Terry are returning to The Arts Centre Melbourne from 1 - 17 April, for the stage adaptation of The 52-Storey Treehouse. 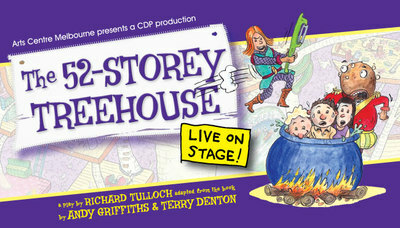 The theatre show is based on the latest ever-expanding treehouse book series by Andy Griffiths’ and Terry Denton’s. 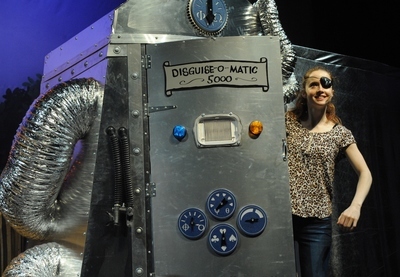 Much like the previous 13-Story and 26-Story tales, the 52-Story Treehouse story follows Andy and Terry's hilarious adventures filled with ridiculous inventions, and hilarity. 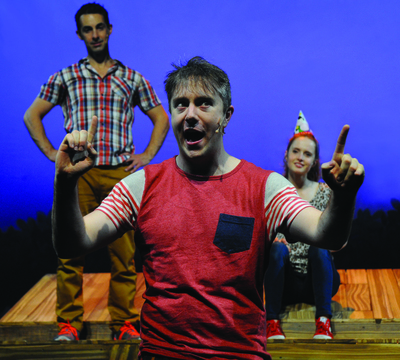 The previous two book adaptations have been met with roaring success, and now the latest in the series, arrives in Melbourne after opening at the Sydney Opera house. Andy Griffiths’ and Terry Denton’s bestseller The 52-Storey Treehouse, follows a crazy adventure, which begins with Andy's forgotten birthday, the disappearance of Mr Big Nose, and friend Jill who won't wake up from her deep sleep. What continues, is a crazy journey to overcome bizarre obstacles such as a hungry caterpillar, an angry vegetable kingdom and a 100 year ninja-snail epic voyage. “I’m so thrilled — and amazed — to see the spirit of this ridiculous book so faithfully reproduced on stage. Five and a half (million) stars!’’ Andy Griffiths said. Can you think of movies with an environmental message?